Born in 1956. Painter and graphic designer. From 1972-1981 he studied graphics at the Academy of Fine Arts in Warsaw. 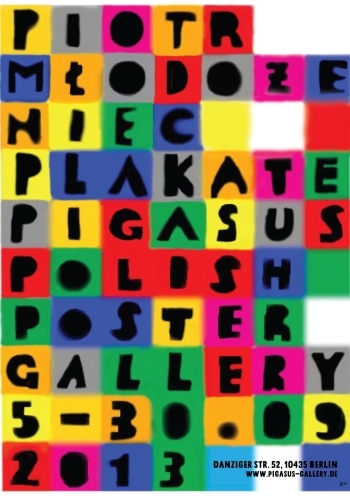 In 1981 - diploma in poster at Henryk Tomaszewski's studio. From 1992-2003 he ran (together with Marek Sobczyk) the design studio - Zafryki. Selected exhibitions (solo, with family and as Zafryki): Polish Cultural Institute, Berlin (1994), Krolikarnia museum, Warsaw (1994), Zderzak gallery, Cracow (1996), Polish Cultural Institute, Leipzig (1997), ddd Gallery, Osaka (1998), Center of contemporary art, Warsaw (1999), BWA gallery, Sopot (1999), Gallery in Rozmaitosci theater, Warsaw (2001), Museu d'art contemporani d'eivissa, Ibiza (2003), Zderzak gallery, Cracow (2006), Chennai, Lucknow (2007), Hoza poster gallery, Warsaw (2007), Pokaz gallery, Warsaw (2007), Entropia gallery, Wroclaw (2008), BWA gallery, Sopot (2009).